Women and children are among those benefitting most from flood resistant bamboo houses in Ecuador. An innovative new housing programme designed to help low-income families in Ecuador improve their living conditions, is reducing the risks posed to both family and home by torrential rain and flooding. Together with support from the World Bank, INBAR and a local NGO called Corporación Hogar de Cristo have created four different types of housing using caña guadúa – a type of bamboo native to Ecuador. The houses, which have been successfully piloted in the provinces of Guayas and Santa Elena, are also improving human health and cutting maintenance costs through design features that offer better ventilation, even in the hottest summer months, and which keep disease-carrying mosquitoes outside. Damage once caused by seasonal flooding is becoming a thing of the past in Guayas and Santa Elena provinces. 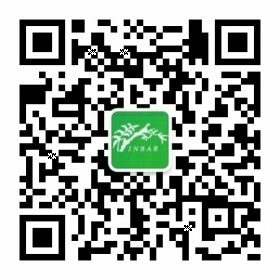 In 2009, the Elevated Bamboo Houses to Protect Communities in Flood Zones Project was selected from almost 1,800 entries, as one of the winners of the ‘100 ideas to save the planet’ Development Fair competition organised by the World Bank. 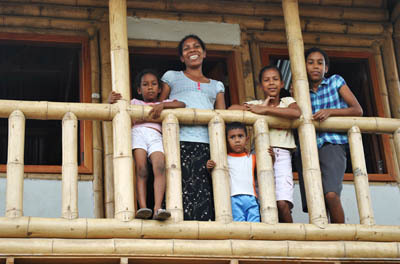 Using the US$200,000 prize money, INBAR and Corporación Hogar de Cristo – an organisation geared towards helping single mothers – developed new techniques for constructing ecological bamboo structures that offer a new way of living for local residents, as well as a providing an environmentally sustainable solution to climate change. So far, two shelters, three classrooms and five houses have been built, giving Eugenia’s children the chance to study for their exams in dwellings that are safe from the dangers of natural disasters.